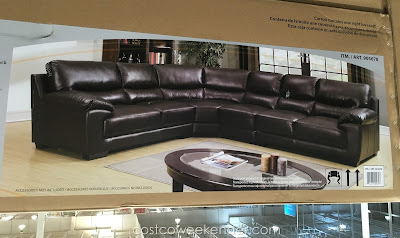 If I had the family room space, I would certainly consider the Marks & Cohen Colton Leather Sectional from Costco. I’m a fan of leather couches because of its timeless and classy look. A sofa is one of those pieces that you tend to have in your home for many years with little chances of replacement. So you certainly want it to last. 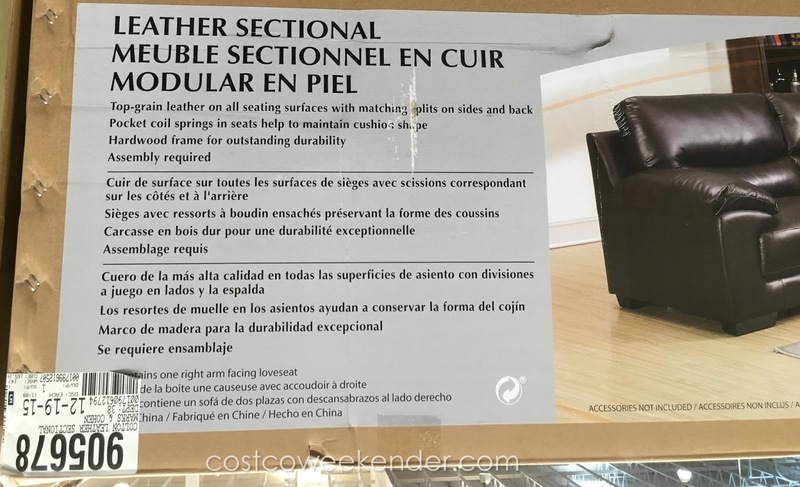 Fortunately the Marks & Cohen Colton Leather Sectional is durable thanks to its hardwood frame. The seats also have coil springs to maintain the cushion shape for years to come. Sectionals are really made for large living or family rooms and can easily become the centerpiece of any room. With the Marks & Cohen Colton Leather Sectional, you can have a movie night with a bunch of friends. Or have a gathering in your home knowing that your living room can accommodate the crowd. So go ahead, invite some friends over and just relax on the Marks & Cohen Colton Leather Sectional. Costco in Austin has $400 at $1,599.99. Hello @Unknown, thank you so much for letting us know of the new price of the Marks and Cohen Colton Leather Sectional. It's good to see that it's available in Austin, TX and for a lower price too! Just bought this one at the East Plano, Texas location for $999.97. Just bought in Madison WI 999.97 2 left. 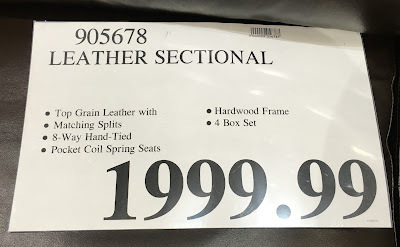 Hello @Ku and @TOM, thank you for letting us know that the Marks and Cohen Colton Leather Sectional is available in East Plano, TX and Madison, Wisconsin respectively for $999.97. Being that the price has been slashed by half since I first spotted it at my Costco, it really sounds like Costco is pushing hard to get rid of these which makes this a really good deal. 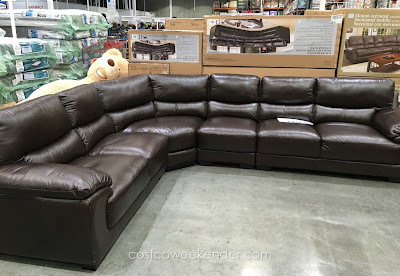 I hope more of us Costco Weekenders will be taking advantage of this cheap price for this leather sectional. i am in sterling heights mi, do they ship it here? if so what will be price including shipping? Hi @Mukti, you'll have to check with Costco or Costco.com to see how much shipping and handling will add to the price if you want the Marks & Cohen Colton Leather Sectional delivered to your home. The price of the sectional may vary from the price that I saw at my local Costco.